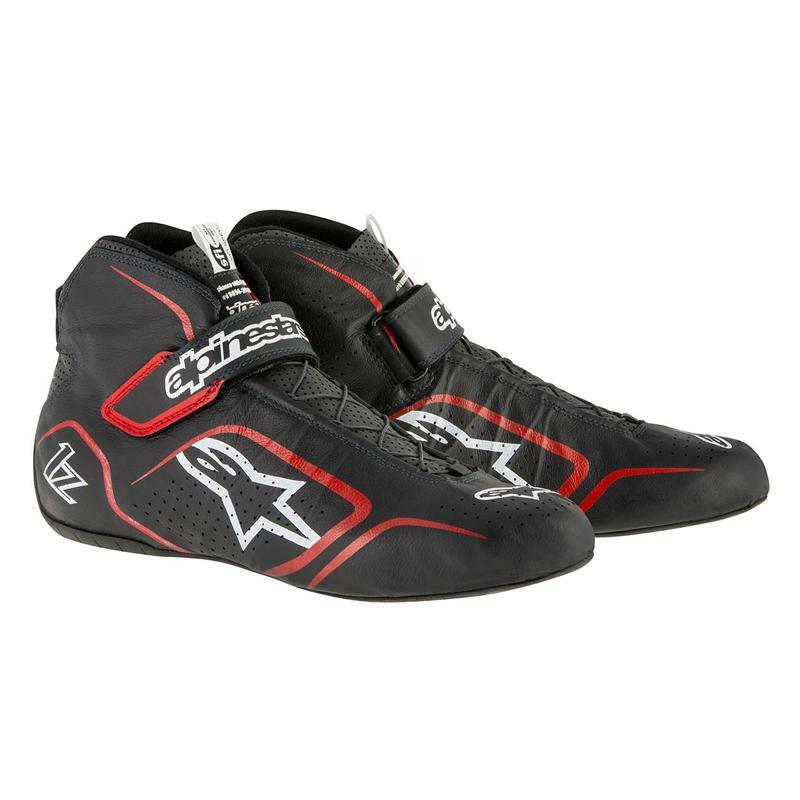 Alpinestars Racing Shoes - Tech 1-Z UNIVERSAL - Brakeswap.com - Friction for the Win! Closure system with adjustable Velcro strap for secure and personalized fit. Tongue padding made in double layer CarbonX material for additional flame-retardant properties, plus reduced weight.